Do You Handle Will Contests? Yes. If someone close to you has died, and you believe that their Will does not reflect their true last wishes, we can assist you with pursuing your claim. What Are The Grounds For A Will Contest? 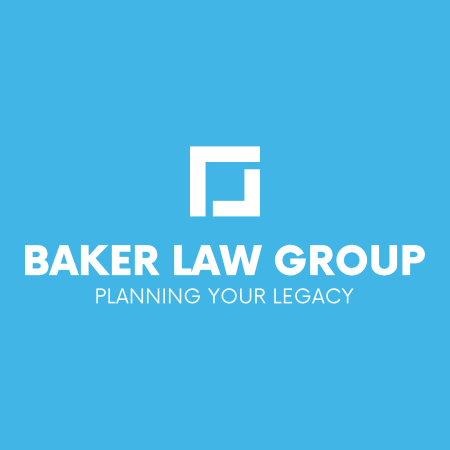 Unfortunately, we do see cases where relatives, friends or care-givers take advantage of the elderly or infirm by having Wills signed which favor the wrongdoers. We can assist you in evaluating your case, if you believe that this has happened in your family. Is It Necessary to Go to Court to Challenge a Will? Yes. Unless the other party agrees to a settlement very quickly, it is usually necessary to file a formal objection to probate of the Will, which in Georgia is called a Caveat. After the Caveat is filed with the Probate Court, the case is generally handled like other lawsuits, with a period for discovery and then a trial, if no reasonable settlement can be reached. What If Someone Died Without a Will? Then Georgia law controls who receives their property, including their real estate, and their personal property, including furniture, furnishings, jewelry and automobiles. This is usually handled under the supervision of the Probate Court, after filing of a Petition for Letters of Administration. If the person appointed as Administrator of the estate has not distributed the property of the estate in accordance with the law, then it may be possible to file a claim against the Administrator or others involved in the improper conduct. What If The Deceased Had All His Property in a Living Trust?In this case, the family may not be required to make any filing with the Probate Court. So, you may not receive any notice that the Trust property is being distributed. If you believe that a Living Trust was set up improperly and does not reflect the true wishes of your deceased loved one, it will be important to act quickly to preserve the property of the Trust. When dealing with Trusts, this may require filing of a lawsuit or other action in Superior Court, rather than in Probate Court. Do You See Many Disputes Over Estate Property? Yes. Unfortunately, we see many more such cases than in years past. This is one of the reasons that everyone should have a current, professionally prepared Will (or Living Trust) and Financial Power of Attorney in place, so that trustworthy persons can manage their property during any period of incapacity, and then settle the estate properly and legally after death. Failure to plan ahead often leads to trouble when a Will or Power of Attorney is signed after a person is seriously ill and not thinking clearly. If are concerned about the Will or Trust of a loved one who has recently passed away, please give us a call at (770) 992-4325, or email us, to discuss your legal options. How Do Your Fees Work for Will Contests? Will contest cases are handled on either an hourly basis, or on a contingency fee (if appropriate). After we meet with you for an initial consultation, we will evaluate your case and explain your fee options. If we choose to take your case on a contingency fee, then you generally will not owe any legal fees unless we win your case by recovering money or property for you. In that case, you would owe our law firm a percentage of the total amount won, generally in the range of 33% if the case is settled before trial, or 40% if the case goes to trial or mediation. Each Will contest is different, and we do not accept all cases on a contingency fee basis. We understand that your case is very important to you, and we will explain the different options for legal fees at your consultation. If a retainer is required for your case, we accept major credit cards (VISA, MasterCard, American Express and Discover), as well as checks.